It's The Simple Things That Set Us Apart! Welcome home to Kensington Court in Lakeville, Massachusetts. Our community offers small town atmosphere with big city convenience. Catch the train to Boston or to Cape Cod with direct commuter rail access seconds away. This three-story, classically designed community features open and airy one and two bedroom apartment homes with your own private patio or balcony. Our residents enjoy convenient access to all area highways, with shopping, restaurant and entertainment options all around. 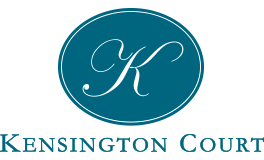 Learn why so many people love calling Kensington Court home!